Looking back at 2013; how much have we achieved in the goal to improvise procurement? Are we better than the previous year? What do we need to look out for in the remaining months? Over 120 procurement professionals took part in the study, Procurement Priorities 2014 in order to find a solution. A study exclusively catering to South East Asia. In this post we look into: The top business challenges, Average Cost Savings objectives & how the top management expects their procurement teams to perform. Amongst the various list of common challenges, Procurement Pros. in South East Asia find Market Competition as their biggest hurdle with 56% in stride. Following the lead is the uncertain Supply/Supplier Base with 38% and then comes the rigid manual processes with 33%. While Inflation and Political affairs fall under the uncontrollable domain; the spotlight falls on Talent Management, taking almost 1/4th piece of the pie and thus coming in the Top 5. Procurement Pros. are looking for an aggressive cost-savings goal with an average of 8% cost savings over the total spend. Corporations seem to be fierce here with over 42% pros. aiming for savings in the 6-10% range blending with the predicted rapid economic growth. Over 60 % of senior management believes that Procurement can be a major factor contributing to Business Performance. This is on par with the Procurement Priorities studies conducted across globally. 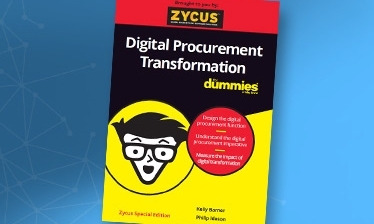 This marks the journey of Procurement’s transformation from a tactical function to a strategic value-chain contributor evolving worldwide. While over half of the pros. believe the top management will mainly focus on cost cutting, fixing business processes, productivity and similar internal functions; still a certain section assumes the top management will eye on expanding to new horizons, increasing revenues, bringing new products thus growing out externally. In our next post, we shall explore the detailed procurement priorities and the business climate for procurement. Read the part 2 here. Click on the download button below to access your copy of Procurement Priorities 2014. Sherna is a Senior Marketing & Communications Executive at Zycus. An avid blogger, a maniac editor and an animated colleague; you'll find her tweeting and visualizing new Pizza Treats when she's free.